The Wahoo Blue SC is a speed and cadence sensor intended for use with your iOS or Android smartphone or tablet device. It uses Bluetooth 4.0 and ANT+ technology to track cycling speed, cadence and distance information. This product is designed for use on the iPhone 4s and newer, iPad 3rd gen and newer, iPad mini, iPad Air, and iPod 5th gen. This product is designed for use with Android devices compliant with the Bluetooth 4.0 protocol running version 4.3 or newer & must allow Third Party App Access to the Bluetooth 4.0 (Smart) Radio. NOTE: Wahoo Fitness has not tested complete compatibility with all Android devices matching this description. Please download the app from the Google Play Store to ensure that it installs on your device before purchasing a product. This setup guide is intended to assist with installing the Blue SC and pairing to the Wahoo Fitness app. Place the sensor on the rear chain stay of your bike, near the pedal. The logo should be facing up and the arm of the sensor should be inside the rear chain stay, facing down. You may need to loosen the arm of the sensor with a 2mm allen wrench to move it into the correct position. Secure the sensor in place with the provided rubber band or zip-ties, whichever is preferred. If using zip-ties, do not completely tighten yet, as the magnets still need to be aligned before completely securing the sensor in place. We recommend using the zip-ties for the most secure connection. Take off the pedal on the same side and slip the pedal magnet onto the crank, magnet facing in towards the sensor. Align so that the magnet will pass by the indicator line on the body of the Wahoo Blue SC sensor. The magnet will have to pass within 1/8 inch (about 4mm) to get a reading. As such, adjust the position of the sensor and/or magnet if required. Replace your pedal. Screw the wheel magnet onto any spoke on your back wheel, facing in towards the sensor. Align so that the magnet will pass by the indicator line on the arm of the Wahoo Blue SC sensor. The magnet will have to pass within 1/8 inch (about 4mm) to get a reading. Once again, adjust the position of the sensor and/or magnet if required. Tighten the magnet in place on the spoke. Once satisfied with the magnet positioning, tighten and snip the ends of the zip-ties (if using). Download the Wahoo Fitness app from the App Store. Open the Wahoo Fitness app. Make sure you have Bluetooth turned on. Wake up your Blue SC by rotating your rear wheel or crank arm until the magnet passes by the sensor. Select "Sensors” in the bottom left corner. Once certain you are connected to the correct sensor, select "Save Sensor." Choose the workout profiles you would like your Blue SC to be active for (ex. Cycling). Select "Done” to complete the pairing & workout selection process. Select "Done” in the top left corner to exit the Sensors menu. 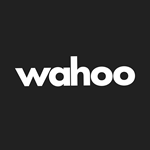 Download the Wahoo Fitness app from the Google Play Store. Select "Saved Devices” in the top right corner. Select the plus "+” icon to add a new sensor. Choose your Blue SC from the list of available sensors. Once certain you are connected to the correct sensor, select "Save Device." Select "Ok” to complete the pairing & workout selection process. Use the Back button to exit the menus and return to the Home Screen. Your Blue SC is now set up and ready for action. To use your Blue SC, start a workout with one of the profiles you paired it with. The Wahoo Fitness app will remember this pairing in the future. You simply need to wake up your sensor and start a new workout to begin recording data! Slow Blink (about once every second): Blue SC is awake and not paired. 4x Flash: Occurs the instant a connection is made. Quick Blink (about twice every second): Blue SC is paired to a device. If a firmware update is available for your sensor, the Wahoo Fitness app will now prompt you to proceed with performing an update. If you do not, the update may be performed later. Sensors with updates available will appear in the menu of Saved Sensors marked with a badge to indicate the update is available but not installed. Make sure the device has Bluetooth turned on so it can communicate with your Blue SC. Select what kind of workout you wish to do from the list of workout types using the slider. Select if you wish to have Audio Announcements turned on or off. Make sure the Blue SC is synced to your device. It will appear in the list of Linked Sensors for that workout profile with an indication of signal strength shown on the far right when it is connected to your device. Select the green "Start” button to begin the workout. Information gathered from your Blue SC will now start to be displayed on your device. To end your workout, simply select the red "Pause” button. Select the red "Stop” button and either a) Discard Workout b) Save Workout or c) Return to Workout. If you elect to finish the workout, the Wahoo Fitness app will now display a summary of your workout. Use the Pencil icon to make changes to your workout if required. e.g. Select to edit the Audio Announcements. Select the green "Play” button to open a new workout. Make sure the Blue SC is synced to your device. It will appear in the list of Linked Sensors for that workout profile with an indication of signal strength shown on the far right when it is connected to your device (button located in the top right corner). NOTE: If a firmware update is available for your sensor, the Wahoo Fitness app will prompt you to proceed with performing an update using the Wahoo Utility app. If you do not, the update may be performed later. The free Wahoo Utility app is required to perform firmware updates and is available from the Google Play Store. Select the red "Stop” button and either a) Discard b) Save or c) Cancel. If you elect to save and finish the workout, the Wahoo Fitness app will now display a summary of your workout. For more information: Please refer to the instructions page for the Wahoo Fitness app. WANT TO CONNECT TO ANOTHER APP? This product is compatible with a number of third party apps. However, each app connects to sensors a little differently. As a general rule: Open the compatible app you would like to use and find the settings. Look for "connect to sensor" or another similar option. You must connect each sensor separately for each app you use. NOTE: Bluetooth devices can only pair to one app at a time. Make sure to close any background apps that may be using the sensor before connecting to a new app. ices can only pair to one app at a time. Make sure to close any background apps that may be using the sensor before connecting to a new app. Download the Wahoo Utility app from the App Store. Open the Wahoo Utility app. Select "Test Bluetooth 4.0 Sensors”. Make sure you have Bluetooth turned on & your device is awake. Select "BlueSC/RPM”. The Wahoo Utility will now try to connect to the sensor. The Wahoo Utility should now connect to your sensor & display information regarding sensor data and the firmware version to confirm connectivity. Close the Wahoo Utility app to disconnect the pairing when finished testing. NOTE: If a firmware update is available for your sensor, the Wahoo Utility app will prompt you to proceed with performing an update. Apply updates when available to improve the performance of your sensor. Download the Wahoo Utility app from the Google Play Store. Open the Wahoo Utility app. "Discover Devices” will immediately try to discover your sensor device. Make sure you have Bluetooth turned on & your device is awake. Contact Support for more information: support@wahoofitness.com If you use the Settings>Info+Help>Email Us function from within the Wahoo Fitness app it will attach a log with your query to better help us answer your questions.